I was able to absorb and digress Jiu-jitsu history with one of my students recently. In June 2012, my first student from 16 years ago in Killeen, Texas came to visit me. His name is Jared Manbeck. When I met Jared, we both were very young men back then, and I was one of Texas first blue belts, and later one of Texas’ first four BJJ Black belts. Jared and I had kept communication but we had not seen each other since 2000. He planned to visit me to train and update his BJJ and to just catch up and pay respects to his instructor. We were able to get some good mat time, and I think I gave Jared a few new ideas to improve his game. We had dinner that night, and when Jared left, I reflected and talked to my wife about my BJJ old days in Killeen. I reflected past students, and how fortunate we were to do what we do. I told Jared one day maybe I should write an article about my history, and my great legacy with the Machado brothers. I have seen the entire history of BJJ in Texas. I know pretty much every name in our state or Black belt lineage. I remember the first schools in Texas and USA for that matter. Mine was one of them. When my instructor moved to Dallas in December 1995, I began training with him in January 1996. I used to drive four hours there and four hours back every Tuesday. I could not wait to get the class instruction, the mat time, and mat time with my instructor Carlos Machado, and my private lesson. I would drive back almost falling asleep at the wheel. I used to pinch myself, open the window and even torture myself by stopping by those truck stops on highways to get a cup of coffee to keep me awake. I loved it. And I loved earning my belts. I loved working hard for what I have earned in BJJ. I was given my 3rd degree BJJ Black belt almost three years ago. I train with my students just about every class I teach. I need my mat time, my experimentation, my ideas, designs and exploration of newer techniques. I also have very tough blue, purple, brown and black belts that are my students. This desire of mine is like Tesla, when he designed newer ideas for the future. I admire Nikola Tesla, and his brilliant mind. I enjoy reading about his science. My instructor has that Tesla affect. He develops newer ideas all the time, and each time he visits, he educates me more and more. And his mat game is better, more technical each time. That’s where I got mine from. His work ethic was something I already had. And either you do or you learn it. The many thousands of mat time hours I have had in my career is a type of polishing effect. I learned that from him too. And to gage your abilities. What I mean by that is to not inure or ‘tough’ up a student. This is not ethic, this is bullying. And I note in my career, what I learned from my instructor on work ethic made me balance all types of students. Overall, I have had the greatest students in the world. And of course, like every instructor teaching, you get the bad apples from time to time. The three points in this article I am going to review. When I told him that, this is the business we’ve chosen. I explained all of the timelines and lineages specifically of Jiu-jitsu. We have different break offs of Gracie associations that many newer students don’t even know who is who or who is against each other. I told him 15 years ago a BJJ school was an icon. 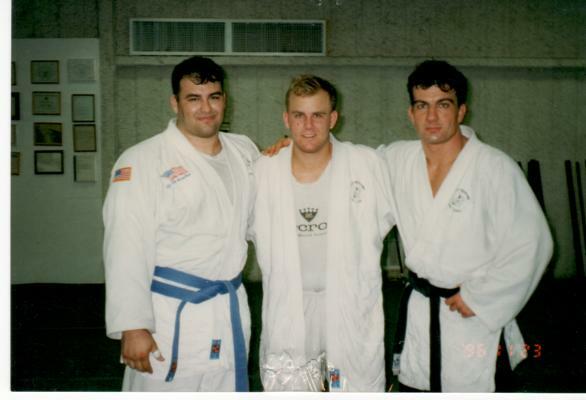 We had these young American guys who were Brown or Black belts teaching. We earned our belts. Now we don’t know who trained under whom, and where did we get that certification? He discussed with me as an example how people who receive different belts from different instructors. Now this does happen, and at times there could be a legitimate reason; the instructor did something criminal or unethical. My lineage is proud and goes back 17 years. The Machados have been very good to me, and I have learned so much from the top. This with ideas is what I pass to my students. He was right when he questioned actual credibility or teaching ability. I told him, it’s much tougher to get your PhD than it is an online degree. Jiu-jitsu continually strives to live up to the seven principles of the Code of Bushido “the way of the warrior.” The Code of Bushido teaches humility, truthfulness, bravery, benevolence, compassion, sincerity, loyalty and devotion. As Martial Arts practitioners we believe that (the) Code of Bushido serves as our constant reminder to perfect our character, as well as facing our weaknesses.